Today, 5th December, is International Volunteers Day, organised by the United Nations. 2017 was only the beginning for Hull’s blue-coated army of City of Culture Volunteers. This year their journey has continued as part of Absolutely Cultured, completing 600 shifts each week, which equates to more than 2,400 hours of volunteering. This year’s International Volunteer Day is the perfect opportunity to celebrate the power and potential of the City of Culture Volunteers as they spread their infectious energy and magic across Hull. 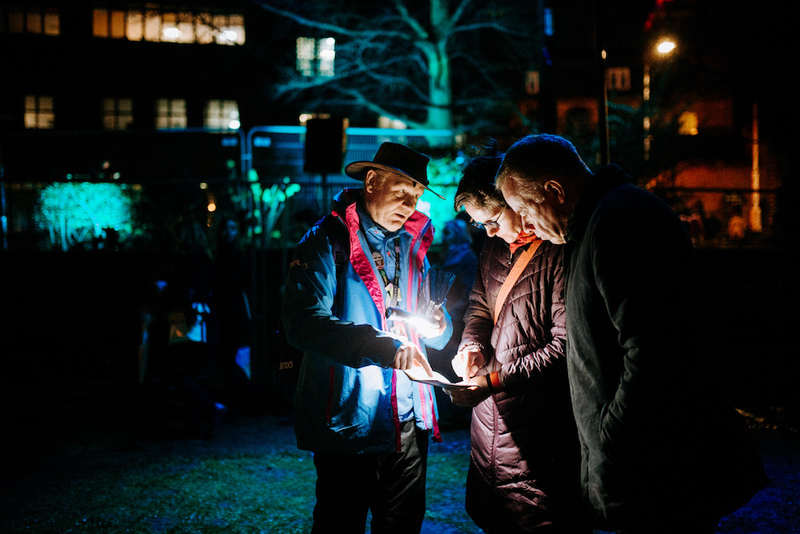 As well as being a familiar face at cultural locations and events – over 300 volunteers helped make last weekend’s Urban Legends: Northern Lights a stand out success – this year they have expanded into new areas. Last month, volunteers worked with local communities to plant thousands of tulip bulbs in 10 neighbourhoods across the city, ready for spring next year. This was the first of seven volunteer-led community projects which are part of Absolutely Cultured’s partnership with Nesta and the Department for Digital, Culture, Media and Sport (DCMS). Volunteering Manager at Absolutely Cultured, Harriet Johnson, said: “The Nesta Projects are giving the volunteers the opportunity to do something completely different to last year, on their doorsteps with their neighbours. Head of Volunteering at Absolutely Cultured, Shaun Crummey, said: “The City of Culture Volunteers continue to sing about this great city and we’re incredibly proud. Not only of what they’ve achieved to date but what the future holds. Absolutely Cultured and the Volunteering Programme Team will be holding a celebration event on 19 December at the Bonus Arena. All City of Culture Volunteers have been invited to attend. Be the first to comment on "Absolutely Cultured celebrates the magic of its volunteers for International Volunteers Day"